Front Hub Bearing and Race Set, Complete. Front Hub Bearing and Race Set, Complete. 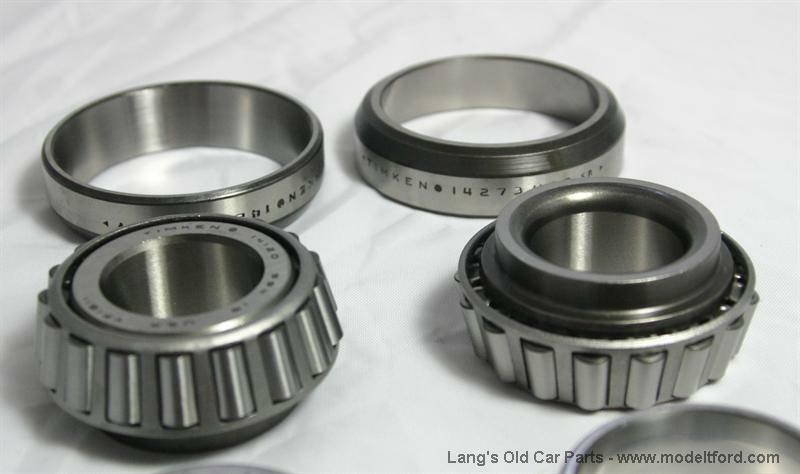 This set is the same as the 2833-38S set, however, the outer roller bearings have been replaced with two piece bearings that have a threaded insert pressed into a roller bearing. 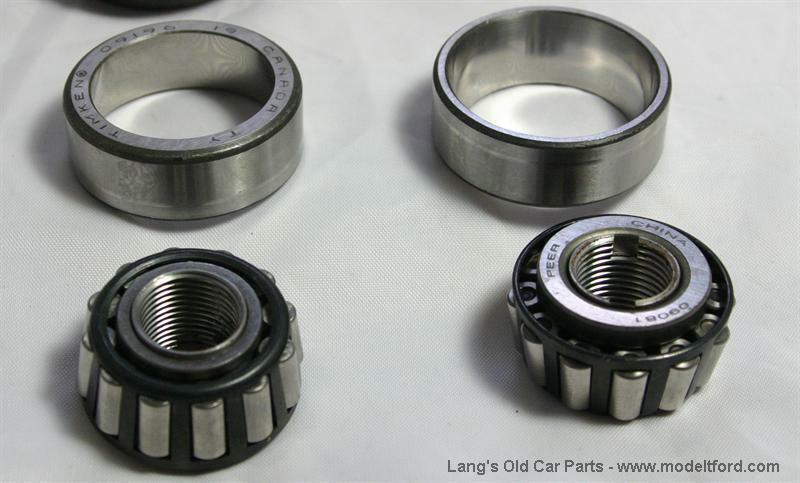 This is a reasonable alternative to the expensive stock Timken bearing set. 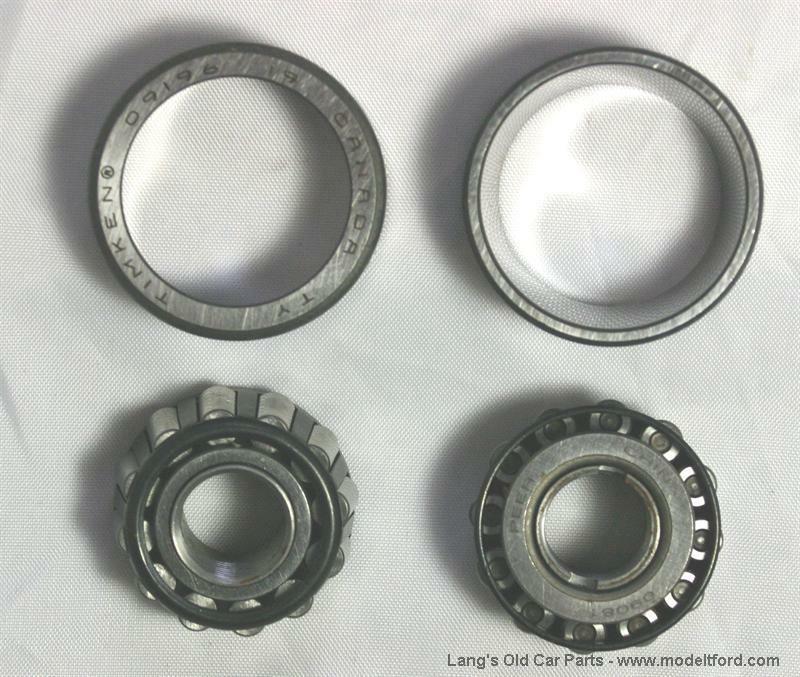 The two sets are exactly the same except for the outer bearings. The 2833-38S has all Timken bearings and races. The 2833-38RS has all the Timken bearings and races except the left and right outer races are not Timken. They are a reproduction style with threaded inserts. 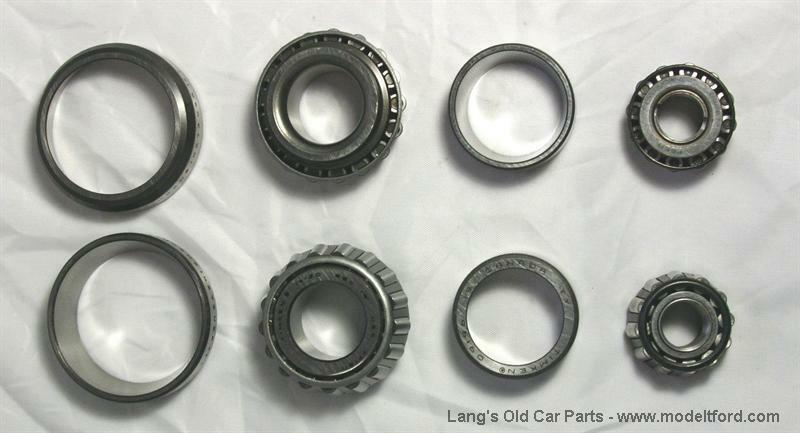 The individual part number for these items are 2837-38R. This is what makes the large price difference in the set. 25 out of 28 found this answer useful.